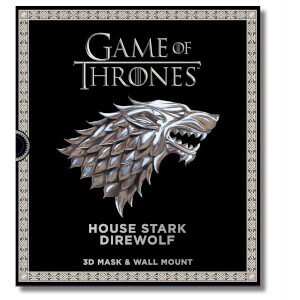 Show your allegiance to House Targaryen with the Game of Thrones Dragon 3D Mask. Crafted from cardboard and presented in a stunning hard-backed book, the pages reveal the pieces to create a striking geometric mask that can be can be worn or mounted on the wall. In addition, the book includes key show information, house phrases and historical references that will delight any Game of Thrones fan. All assembly instructions are included and are easy to follow. 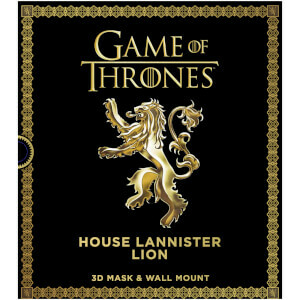 Get any 2 of these Game Of Thrones 3D masks for only £18, simply add both items to your basket for the discount to apply!